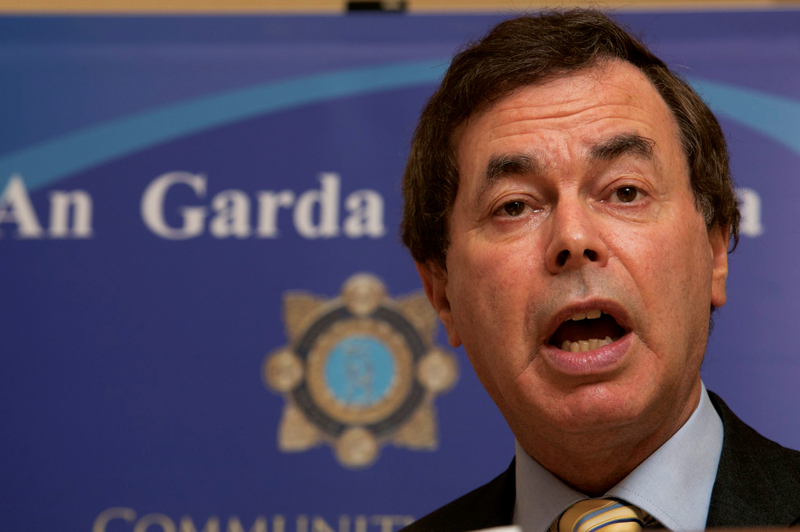 JUSTICE Minister Alan Shatter’s recent announcement that new gardaí will now be recruited because of the new public sector pay deal, has been greeted with scepticism by many in the organisation. At best it may be simply a way to ensure that all gardaí have bought into the revised decimation of the Force; at worst it may just be political theatre based on similar sounding fairy tales that have been heard before – in other words it may never happen. Alan Shatter has woven a plausible line in this debate. Like the disciplinary father, he had put recruitment on hold after garda bodies had rejected the new public sector pay deal. Now however they have been good children and have recommended acceptance of the new Haddington Road pay deal. They will therefore be rewarded with more colleagues to help them in their work. The irony of this hasn’t been lost on many, considering the Minister has held the line over the last two years that it’s all about quality, not quantity, of policing in a modern world. Perhaps the figures need to be looked at more closely by the Department of Justice before they issue another press release saying we have loads of gardaí/enough gardaí/not enough gardaí but here’s some I prepared earlier gardaí– with respect to the Garda Reserve. There are currently some 13,400 members in the Force but garda bodies and others have warned that this will drop below 13,000 if recruitment does not begin soon. Sure we’ve nothing to worry about now, right? Minister Shatter has advised there are more troops coming over the hill. Let’s relax in our garda stations. Sorry, I forgot – he’s taken them away too. It is true that Ireland has a reasonable number of police per head of population as the figures currently stand; at one garda to every 261 citizens. However, unless full recruitment begins in the next couple of months we will very quickly start to hurtle down the league tables and may soon find ourselves sharing positions with Caribbean countries, which typically have one law enforcement officer per 850 citizens. Let us give the Minister the benefit of the doubt however. Let us say a fresh recruitment campaign begins in the short term. Even if the figures are maintained, or even rise, due to a massive new recruitment drive, we still have a very long way to go before we have police numbers per head of population in the ball park area we need them. Countries with larger police forces per head of population, such as New Zealand (247) Denmark (245) Switzerland (224) Norway (222) and Sweden (208), all have significantly lower crime rates compared to Ireland. No one is suggesting that a higher number of police is the cure for all criminogenic ills. It is true that modern, effective policing methods need also to be employed but in tandem with strong numbers. It is the combination of all these and other factors that lead to a reduction in crime. However the madra in the street (as well as empirical research evidence) will tell you that nothing is more effective than police working in the communities they serve – and that means numbers on the street, not by flashing blue lights from a station 20 miles away when a crisis occurs. In order to defend Ireland’s current police numbers, the Minister’s department will often highlight the fact that Britain has only one officer for every 307 citizens so therefore we should be delighted with ourselves. With respect, Britain has not been the model to follow for modern efficient policing for a long time. We should instead be looking to the Scandinavian models where it is not just sound social policies, but strong police numbers that ensure that both the law abiding and criminal knows a police officer is never far away. It’s way past time that Irish citizens had that feeling once more.